Feast your eyes on the Watson's General Menu - there's something for everyone, whether you're herbivore, carnivore or that one in between where you can eat fish for some reason. The menu runs from Monday to Saturday but don’t forget about our Sunday roast offer! Every Sunday we serve traditional roast Chicken, Beef, Pork Belly and a sumptuous Vegetarian option between the hours of 12pm and 8pm. 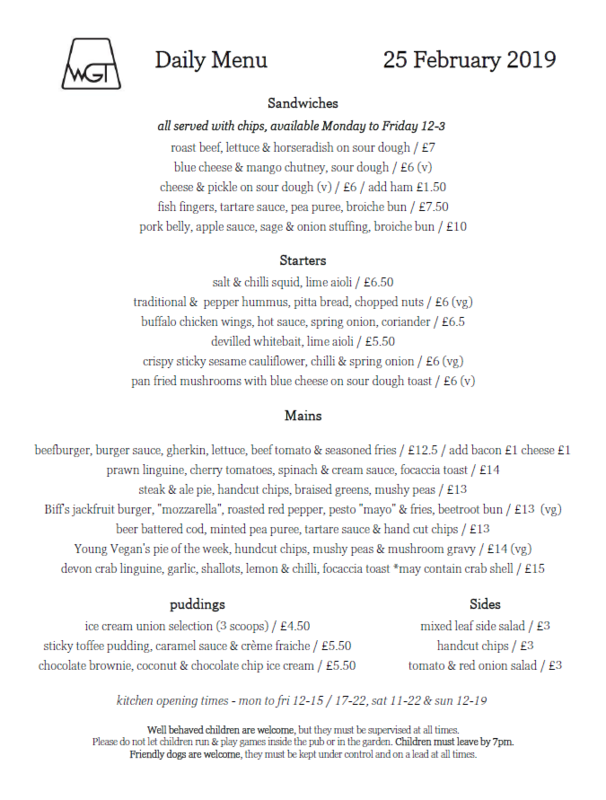 There’s a sample menu below, however this changes on a daily basis, so pop in to see what’s on offer.